Want to make the most of social media marketing? Consider the power of LinkedIn. 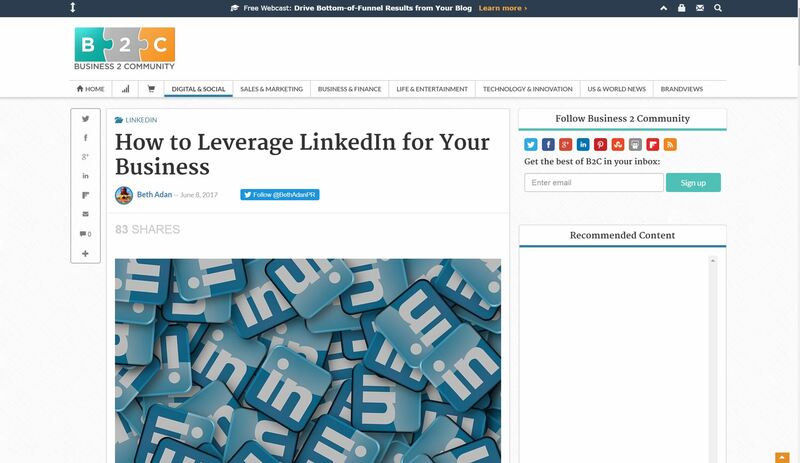 I recently wrote an article, How to Leverage LinkedIn for Your Business, on Business 2 Community. 2017 may be moving quickly, but is your marketing keeping up with the pace? 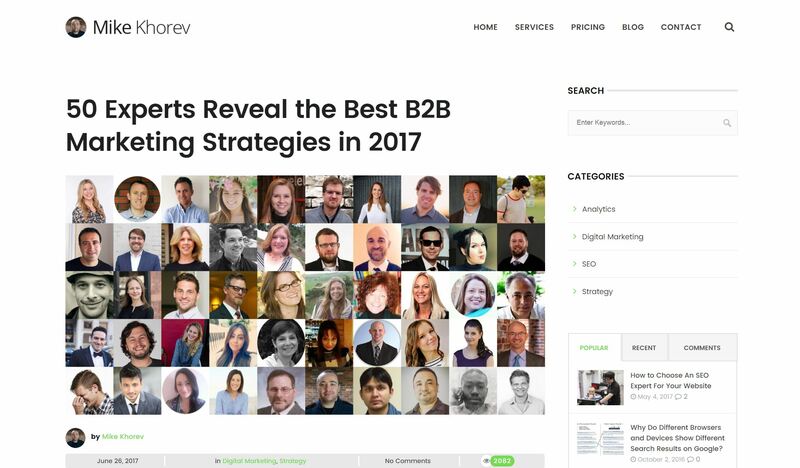 Check out this article I was quoted in, which shares the 50 best B2B marketing strategies for this year. Read the full article here on Mike Khorev’s site.